Educators Outbreaks - That's Sick! Public health laboratory scientists are at the forefront of testing for infectious disease outbreaks caused through the natural spread or the intentional release of existing, emerging, or re-emerging biological agents. These can include disease outbreaks caused by high risk pathogens such as Ebola or by other high risk pathogens used as agents of bioterrorism, such as anthrax sent through letters in the mail. Nationwide public health laboratory scientists, through testing and data sharing, work with epidemiologists and the CDC to conduct surveillance of infectious disease agents in order to effectively prevent, manage and treat infections. Public health laboratory scientists are involved in testing for disease outbreaks. These disease outbreaks can occur as a result of emerging and re-emerging infectious diseases that occur locally, nationally, or globally. These outbreaks can result from the natural spread of a biological agent, including a high risk pathogen such as Ebola, or one that is released intentionally as a biological threat agent. Public health laboratory scientists across the US work with epidemiologists and the Centers for Disease Control and Prevention (CDC) to conduct year-round surveillance for emerging and re-emerging infectious diseases. Emerging and re-emerging infectious diseases are those that are new to a geographic area, have recently changed, or have recently developed resistance to commonly used antibiotics and antivirals. Surveillance for these bacteria, viruses, and fungi is important in order to prevent infections and quickly diagnose and treat those who are infected. 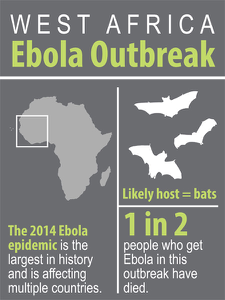 Examples of these include Ebola virus, Middle East Respiratory Syndrome virus, and Chikungunya virus. 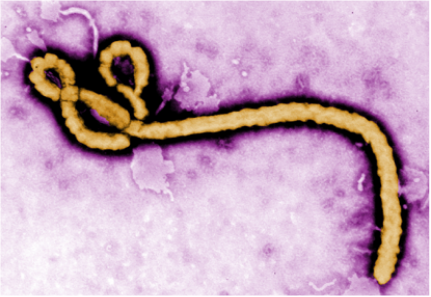 Ebola is a disease caused by the Ebola virus that is severe and often fatal in humans and nonhuman primates and is classified as a re-emerging infectious disease that has the potential to be used as a bioterrorism agent. Ebola was first identified in 1976 and is largely limited to Africa; however it can spread to other areas by way of an infected source. It is characterized by high fever, vomiting, diarrhea, muscle pain and severe internal bleeding. 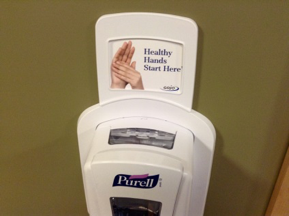 It can be spread from person to person by direct contact with infected bodily fluids like blood, sweat, urine, saliva and feces. 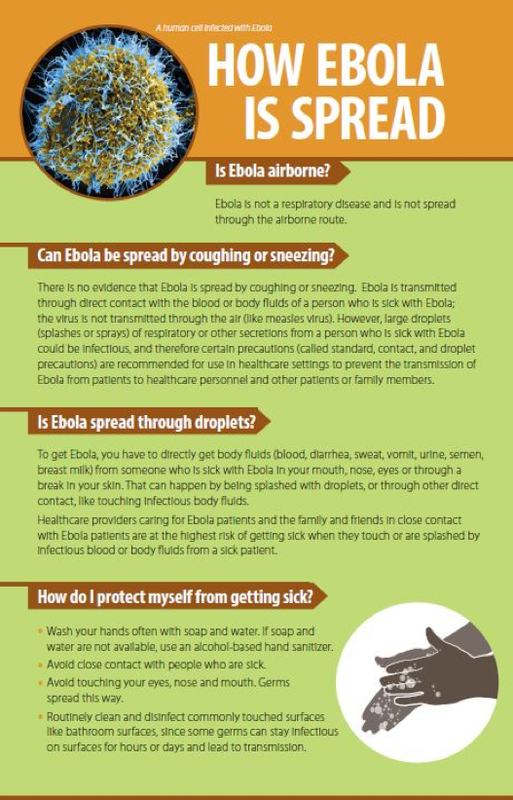 The recent outbreak in West Africa where over 10,000 people died put US health officials on high alert due to the possibility of the spread of Ebola in the US through international travel. Public health laboratory scientists played a part in helping to contain disease spread by testing samples to determine if patients carried the virus into the US. 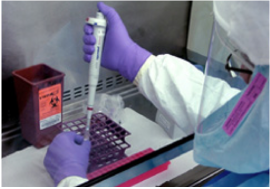 Public health laboratory scientists are also involved in testing environmental samples and clinical specimens for the presence of other high risk pathogens such as bioterrorism agents. These agents are bacteria, viruses or toxins which occur in their natural form or have been modified to increase their ability to cause disease and which are released into the environment to cause sickness or death in people, plants and animals. Other public health laboratory scientists and chemists detect the exposure of people to chemical threat agents that have been released intentionally to cause harm. Public health laboratory scientists must always be prepared to test for any of these agents to help minimize harm and exposure of its citizens to naturally occurring disease outbreaks or to those intentionally introduced into the population. 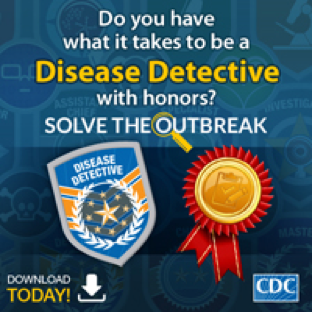 This is a fun and interactive app where the student becomes a Disease Detective by traveling the world chasing outbreaks like the real-life ones CDC Disease Detectives help fight. The following two sources describe the spread of an infectious disease and are relevant to the spread of a deadly disease such as Ebola. This website contains publications about the CDC’s efforts to combat emerging infectious diseases from around the world. Public health laboratory scientists work closely with CDC scientists to detect emerging diseases. This website contains links to information for many emerging and re-emerging infectious diseases. This website contains links to information about current outbreaks, describes what the Center does, and has many stories and multimedia resources. 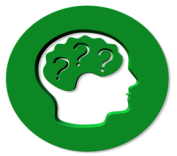 This site describes many specific agents listed A -Z that could potentially be used as bioterrorism agents. It includes information for the general public as well as information for professionals such as public health laboratory scientists. Educators may find this additional resource material helpful. 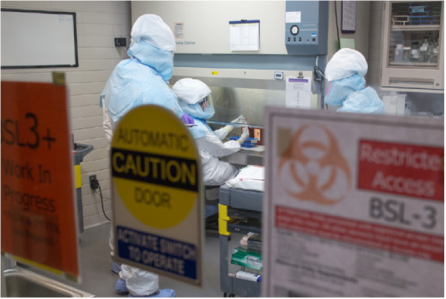 Fact sheets on a number of bioterrorism agents including anthrax, botulism, brucellosis, plague, smallpox, tularemia and viral hemorrhagic fever. Educators may find this additional resource material helpful.